please do not hesitate to give us a call anytime. 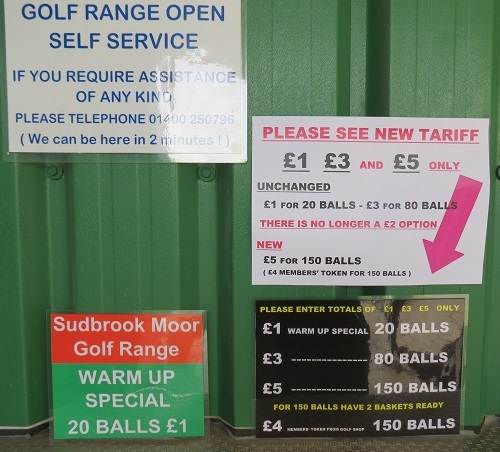 Sudbrook Moor's Driving Range is open for use by Members and Non-Members. 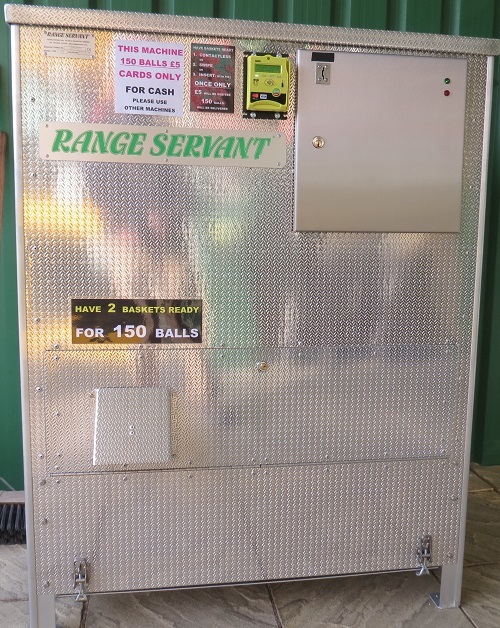 There are no charges for using the range except the purchase of Range Balls. No tickets are required just turn up buy a basket of balls and send them down the Range. All Self Service with help available from the Golf Shop 8am to 6pm ( 4 to 5pm Winter). Clubs available to loan including Juniors - free of charge. There are 2 options for obtaining Golf Range Balls. Our range does not use the low compression or percentage balls found at other ranges. We use standard golfballs so our range users can get an accurate distance measure with their clubs. The machines are fitted with optical sensors to count and dispense the correct quantity of balls for the amount submitted. The Range features 12 practice bays, 6 under cover and 6 in the open. The club endeavors to ensure the mats are always set up for both Left and Right Handed Golfers. The Driving Range like the course is Open all year round during daylight hours. The Range is not Floodlit so it closes when it gets dark. 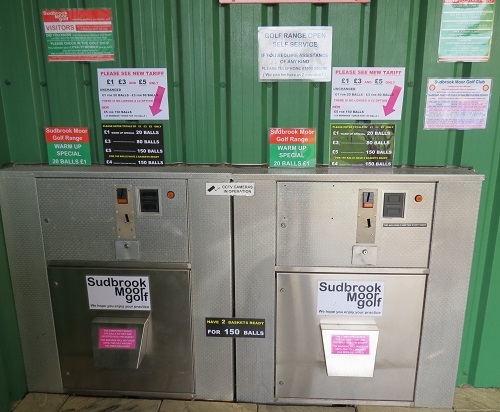 Sudbrook Moor Members Range Tokens. These cost £4 and will give the Member 150 balls in one dispense. If you are going to do a lot of practice this is a cost saving option as you basically get £5 worth of balls for £4. Tokens are available for purchase at the Shop Counter.